Inserting Hidden Calc Value into Payment Amount Field. I am trying to insert a calc value into a payment amount field based on a conditional format. Attached is the calc that i'm doing along with the conditional insert that technically should work. This used to work .. has this function been broken or is there a different way to accomplish this? 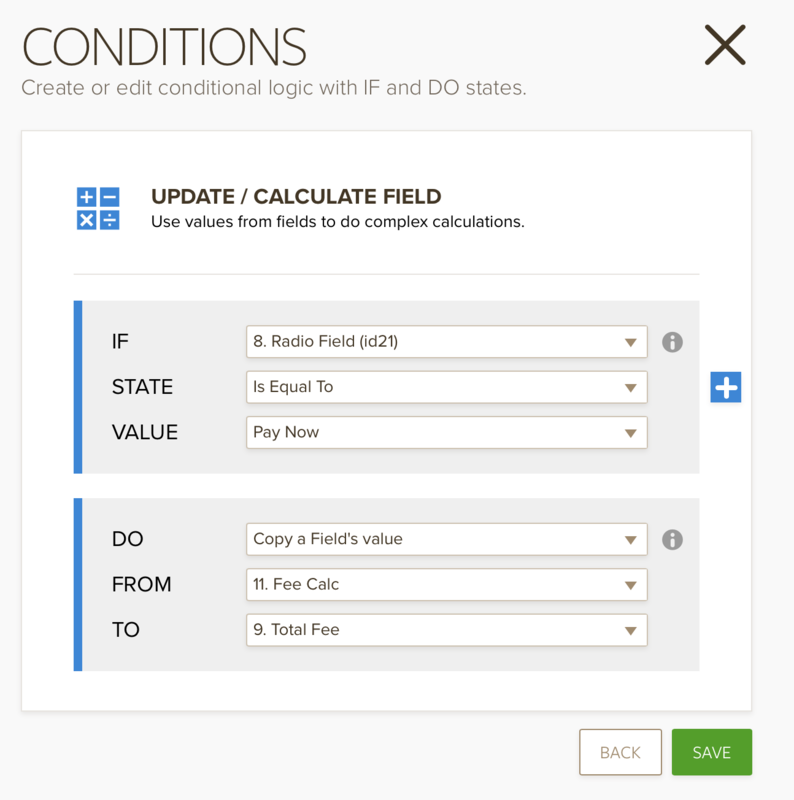 I have cloned your form and I added form calculation field. And I pass calculation to payment field. Here is my demo form: https://www.jotformpro.com/form/61741999717977?